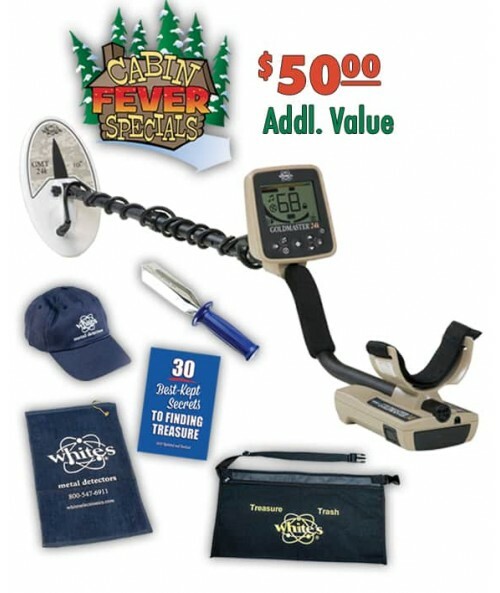 White's 24k metal detector with FREE accessories! 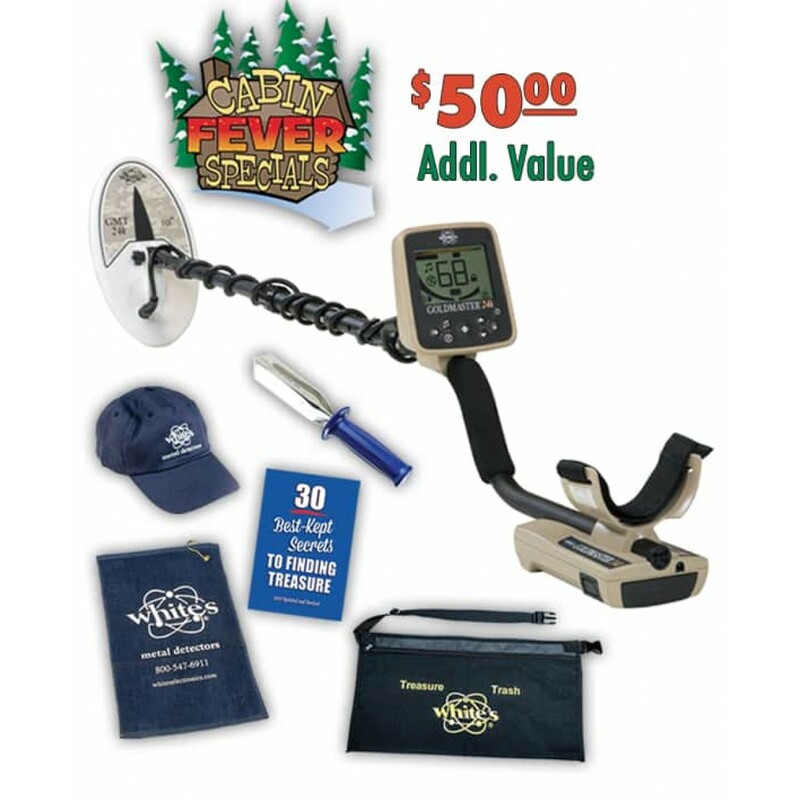 Includes Cabin Fever Kit with over $50 in FREE accessories thru May 31. Trowel, Deluxe Apron, Towel, Best Kept Secrets Book and Baseball Cap. Starting with the industry-standard 48kHz operating frequency, White's has packed all the necessities into one package to put you on the gold. A large, backlit display shows you all the machine’s settings as well as valuable target information. The Target Graph at the top of the display shows Ferrous, Gold, and High Conductor ranges, which is mirrored with Target ID numbers ranging from 0-99. Doris, I received the package the other day. Everything looks great. Very well packed. I appreciate the great service. Have a great day. Thanks for the good service. 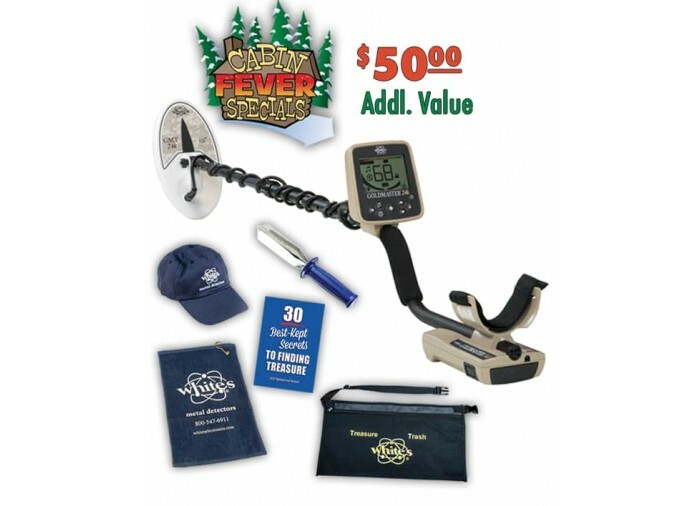 I previously bought a detector in 1998. That purchase was also a very good experience.